First things first, don’t buy an RV for a tax deduction. Instead, look at it as a lifestyle choice. 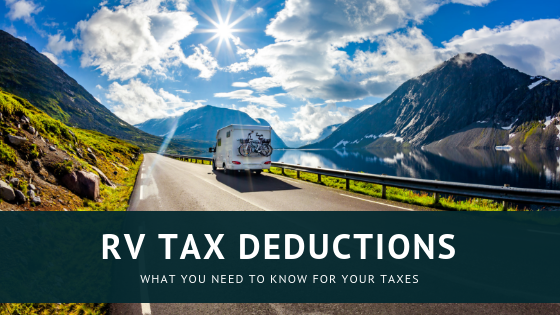 However, that doesn’t mean there aren’t a few RV tax deductions available to those who RV. If you financed your RV, you might be able to take the interest as mortgage interest deduction. This is only available if you qualify for itemized deductions. Remember, with the new law passed in December of 2017, the standard deduction significantly increased, so many of you will not qualify to itemize any longer. Let’s also define what is a qualified home and qualified mortgage. Generally, to qualify as a first or second home, the RV needs to have sleeping, cooking, and toilet facilities. Class A, B, C, 5th wheels and travel trailers should all qualify under these guidelines. However, many vans may not qualify. In particular, toilet facilities are often not present in vans. To qualify, mortgage interest must only be on $750,000 of qualified loans ($375,000 for married filing separately). This is part of the new Tax Cuts and Jobs Act and these numbers are down from the prior limits of $1 million, or $500,000 for a married taxpayer filing a separate return. The limits apply to the combined amount of loans used to buy, build or substantially improve the taxpayer’s main home and second home. The buy, build or improve is the key here. You cannot deduct interest on a home equity loan you used to buy your RV. You must get a separate loan secured by your RV to qualify for this deduction. Keep in mind this interest deduction does not apply to a tow vehicle (your truck) or a towed vehicle (your car or SUV towed behind your Class A or C RV). In this example, think of the vacation home as your RV. As long as the loan is secured by the RV, then you are good to deduct the mortgage interest. If you sell your sticks-and-bricks home and travel full-time in your RV, then you qualify as a full-time RVer! This means you can pick which state you want as your primary residence or domicile. Why not pick one of the seven states where there is no state income tax?!?! These states include Alaska, Florida, Nevada, South Dakota, Texas, Washington, and Wyoming (New Hampshire and Tennessee have a limited income tax). This is why so many full-time RVers choose Florida, South Dakota or Texas as their domicile. It can add up to a nice RV tax savings. Plus, with the new Tax Cuts and Jobs Act, state and local income taxes are limited to $10,000. With this new limit, anyone who previously used this addition to itemize deductions will no longer be able to deduct the full state income tax anyway. Also, it’s important to remember when you hit the road as a full-time RVers, you save yourself the costs of maintaining a sticks-and-bricks home. You’ll be living without a mortgage and can also save on property taxes, utilities, and maybe even those dreaded HOA fees. Many living the full-time RV lifestyle see lower costs of living. It really depends on how you travel, where you stay and how much you take in the local vibe with restaurants and entertainment. If you travel for business from location to location with your RV, there might be a possible business mileage deduction. However, be super cautious trying to deduct the RV itself. Remember, the RV is your primary residence which no one is able to deduct. Let’s dig a little deeper into using the RV as a business deduction. If you use your RV strictly for business purposes, then RV expenses can become deductions. This includes mileage, maintenance, and more. Many people ask me about deducting RV expenses on taxes and I caution them from taking this deduction. While most do not qualify for this deduction because the RV is a main home, there are a few exceptions to this. If you maintain a primary home and use the RV to visit clients or to secure supplies for a business, then it may be deductible. Jason and Sarah are artists. They maintain a personal residence in their domicile state where they spend the winter making their art. They purchase a 5th wheel which they use to secure supplies for their product and also to visit shops and galleries who will then sell their art. This is a business for them and they intend to create a second income stream. In this case, their RV is used 90% for the business as in they only take it out to visit clients (galleries) and secure supplies. They have receipts and mileage logs to prove this. 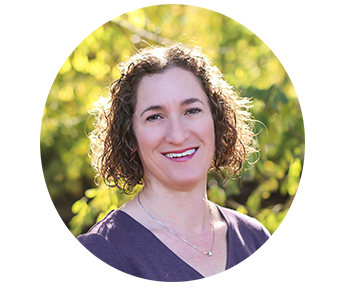 Jason and Sarah can legitimately deduct the use of their RV as a business deduction. The part-time RVer may find a nice opportunity to deduct RV expenses if they own a small business. If you don’t sell your sticks-and-bricks home or maintain a residence other than your RV, then the RV could possibly be treated as a business vehicle. While you can’t eliminate the cost of your primary home or change your domicile to a tax-free state, you may qualify to use the RV in your business. I urge you to be very careful with personal use of the RV in this case. Even trivial personal use could make it a home. Therefore, it would disqualify the business purpose, as the Jacksons found out in this court case. If you use the RV for business purposes, you MUST document exactly how and why it is not personal use. You must also keep excellent records of mileage and maintenance expenses. I suggest keeping a spreadsheet as a travel log. Record dates, the reason for travel or use of the RV, mileage and any other pertinent information to prove business or personal use. Remember, you can only deduct the business portion of the expenses! You might even be able to rent the RV out while you aren’t using it. This is a great way to help with its expense and generate a little extra income. If you rent it out for less than 14 days, then the money is yours to keep. There’s no requirement to report the income. If you rent it out longer than that, you’ll have a rental property as part of your tax return. This means you’ll be able to deduct some of the insurance, advertising costs, and other normal expense as related to the rental property. Learn a bit more about the rental use of your RV on this post. I will remind you that an RV is not there for the tax deductions! RVs are almost always depreciating assets and can be expensive to maintain. However, once you own one, don’t hesitate to take advantage of any tax deductions and benefits available to you. Also, realize that your RV is a way for you to live out your dream – whatever that looks like! Is your dream to be an RV entrepreneur? To save money? Get out of debt? Live a better life?